When the ontogenetic map of a vision and mission of a business has been described the basics of its positioning, growth possibilities and the path of its possible evolution have been defined. That is what business architecture is about. The architecture unveils the true positioning of a business and needs to be considered as confidential information. 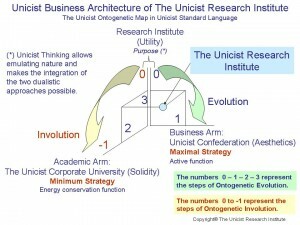 That is why we can only publish the information of architecture of The Unicist Research Institute (TURI). The purpose of TURI is to be a global leading research organization in the field of human adaptive systems. But this research requires productive applications in order to be valuable. That is why the active function of TURI is its business arm: the Unicist Confederation. The energy conservation function is given by The Unicist Corporate University which allows people to learn the use of unicist technologies ensuring that the value of the researches has been apprehended. 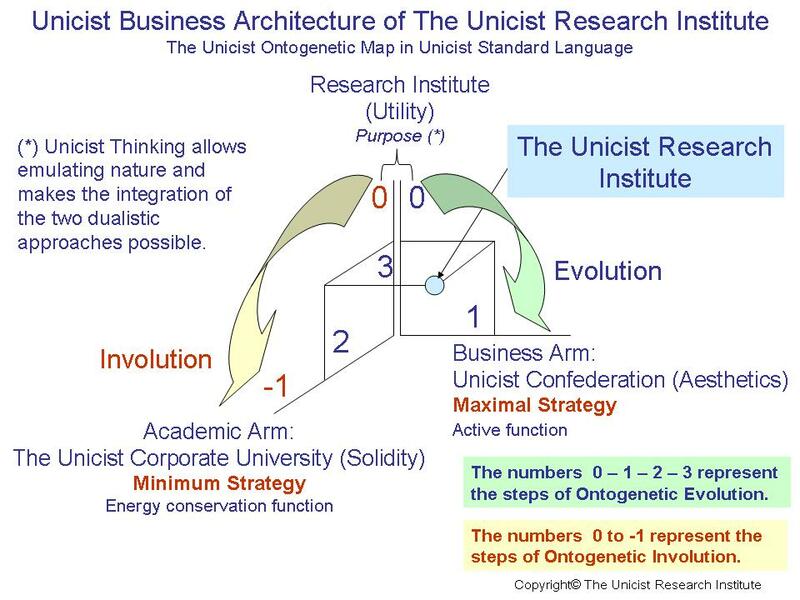 But the business architecture of TURI needs to maintain the oneness considering that the “utility” is given by the research, the “aesthetics” is within the business arm while the “solidity” is provided by The Unicist Corporate University. We hope that this real case of business architecture can be used as a conceptual benchmark. ← Why transform Continuous Improvement into a Business Unit?